.Last day of #NICAR14 . Advanced Searching Techniques is about to start in DEF. Still plenty of seats. 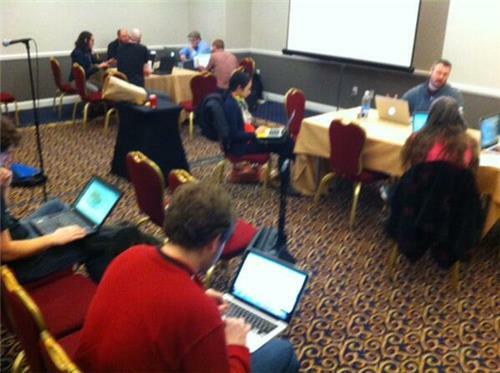 Sunday morning session at #NICAR14 - not very crowded. But I need to learn about the US Census before I go home! #NICAR14 is in the books and I've learned more than I know what to do with. Thank you @IRE_NICAR staff for pulling off another great event. really like step 2 of @mattwaite 's 5-step #NICAR14 recovery plan bit.ly/1bYIK7p .dialing back now to a realistic goal.